One of the biggest online games in Chinese history, both in terms of HDD space and content, Moonlight Blade seems like a heavy investment for any western publisher to bring over to the western market. 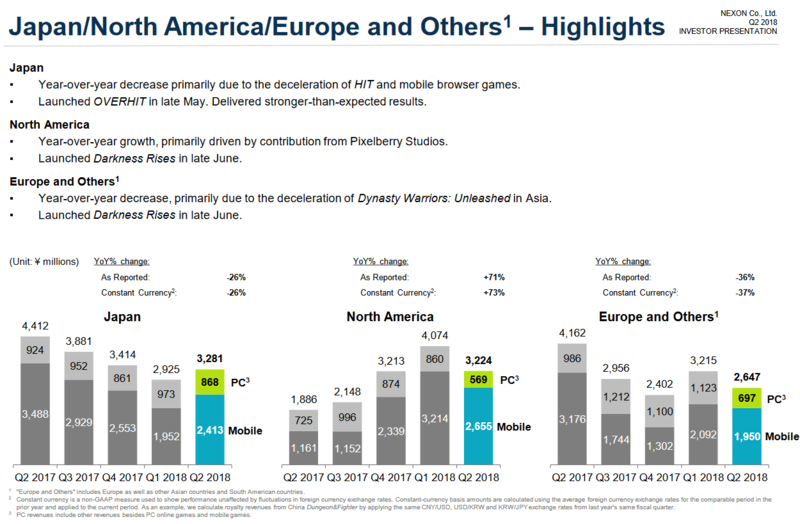 However, in Nexon’s latest financial report for the 2nd quarter of 2018, Moonlight Blade can be spotted in the company’s pipeline for “North America and the rest of the world.” Is this an official nod to the game’s imminent arrival? 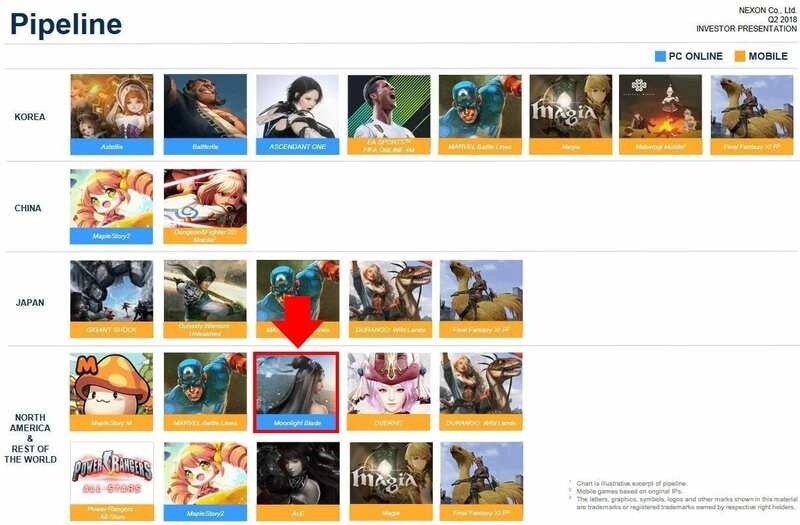 Developed by an internal studio of Tencent, Moonlight Blade has thus far only launched in China and South Korea. 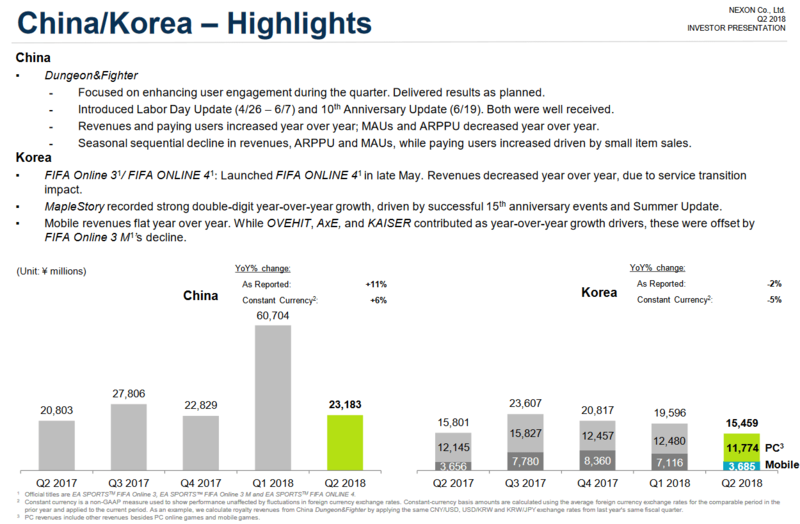 Back to the financial report for the 2nd quarter of 2018, China and Korea remains Nexon’s main sources of revenue, taking up 80% of the pie. 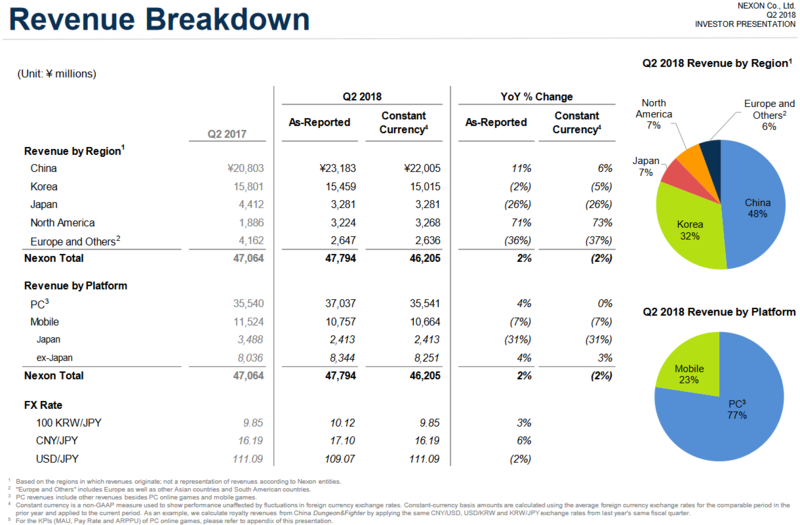 Nexon is still reliant on its legacy PC games such as MapleStory and Dungeon & Fighter, as 77% of the total revenue still comes from the PC platform. Seems like the mobile market is getting tougher! It also finalized the purchase of developer NAT Games, developer of HIT and Overhit, in late June. Business is as usual for Nexon, so stay tuned for more updates, especially with regards to Moonlight Blade! your opinion alone thetruth, you can’t talk for the rest of us, lots of us still waiting for this game. It doesn’t matter if the graphics are good or bad, what’s important in those types of games is the gameplay. Revelation Online had nice graphics and horrible gameplay, it failed, also the publisher My.Com treated it very poorly, so that contributed to the failure. Age of Wushu on the other hand has decent graphics and a very specific gameplay – grindy sandbox, China style. Some love it, some hate it so it’s isn’t necessarily good or bad, just very specific and therefore not many people play it. Also the publisher Snail Games don’t seem to care about exploiters, so the situation isn’t much bright either. The only other Wuxia game I can think of is 9 Dragons, which is quite old, the gameplay is outdated and so are the graphics, I don’t know much about the publisher RedFox, but just the fact that the game is extremely old makes it undesirable for new players. I can’t think of another Wuxia game, so I will leave it at this – it really depends on how good the gameplay in Moonlight Blade is, not the graphics and how Nexon will treat it. So far they should know that P2W is not the way to go and they need proper management of the game. The last game published by them, Ghost in the Shell First Assault and invested over 700 hours into it, was poorly managed and focus was more on shipping out new content than fixing pressing game issues, so eventually people gave up hope and started leaving and in the end the game was shut down and faded away in a very disgraceful way. This game is old now. If it was released in the WEST 2/3 years ago maybe the people here in USA were interested. The graphics are showing its age. what’s a game with better graphics?